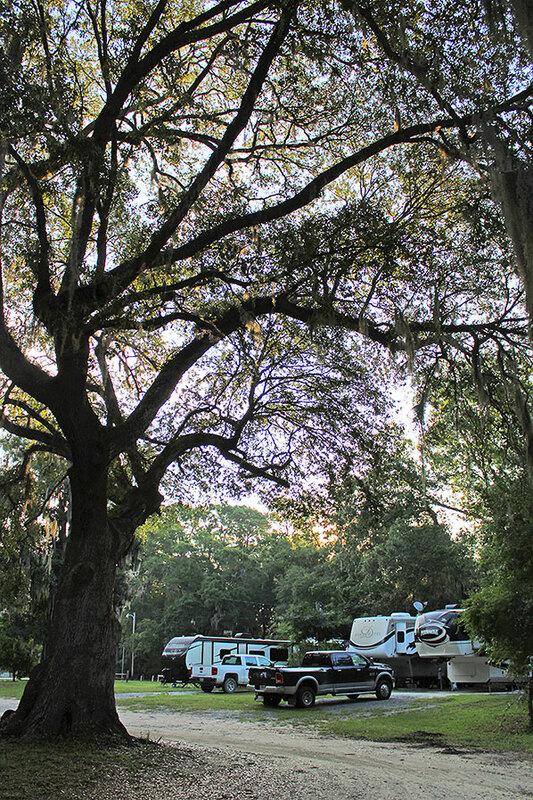 Savannah Oaks RV Resort offers 24 acres of magnificent oaks draped with Spanish moss on the Ogeechee River, crowded with red breast, bream, bass, catfish, shad and other game fish, located only 20 minutes from historic Savannah. Located near Savannah Mall, the campground is an excellent base camp for one-day trips to the Okefenokee Swamp, Brunswick and the Golden Isles of St. Simons, Jekyll and Sea Islands. There is also Fort Frederica, Midway Colonial Museum and other neighboring attractions as well. Savannah itself is the oldest planned city in the United States and the country’s largest urban national historic site, offering many points of interest and incredible beauty.